there's that Sea Fire again, originally uploaded by phlegmmy. One of my favorite garden sections. 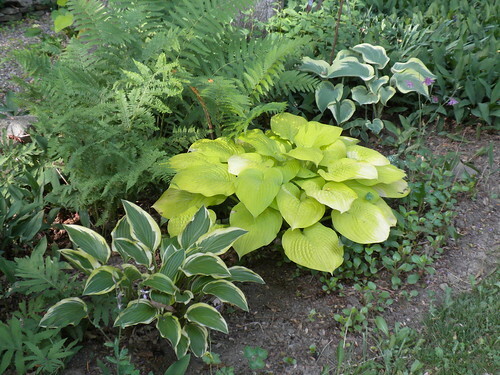 The hosta on the left is "Yellow Splash Rim", the center one is "Sea Fire" which is much more yellow in the sun than shown here and the one on the right is "Northern Exposure." There are several different kind of ferns in this bed and it is one of my favorites.